The only thing that separates the death of a leaf in the fall and the death of you is your thoughts. Do you weep in the fall when the leaves turn colors, wither and then fall to the ground? No. Instead most of us view this as a beautiful scene. We are no different. We too are seasons. We live. We pass away. To live is to die. To die is to make room for new life. 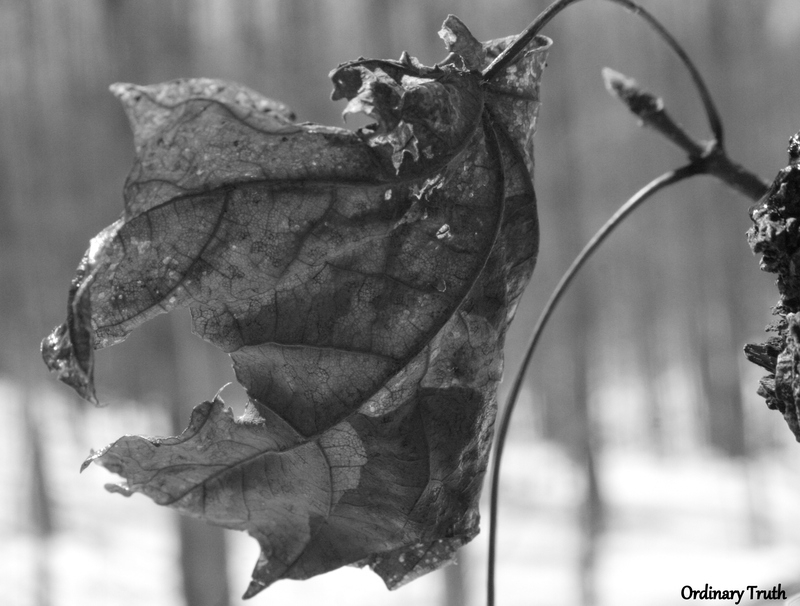 The only thing that separates the death of a leaf and the death of you is your thoughts. This entry was posted on Friday, March 18th, 2011 at 10:51 pm	and tagged with death, Enlightenment and posted in Duality & Oneness, General Truth Talk. You can follow any responses to this entry through the RSS 2.0 feed.